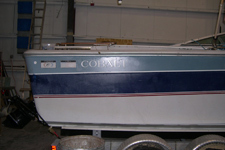 Bonnie Blue is a 1984 Cobalt CS23 family owned since 1986. 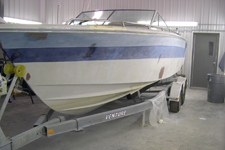 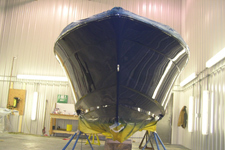 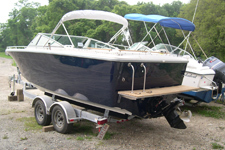 Customer brought Bonnie Blue to Concordia in the Fall of 2007 to restore her to new condition, and make changes consistent with the way the boat was being used - as a family fishing cruiser. 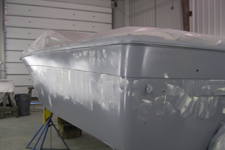 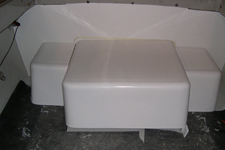 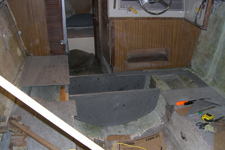 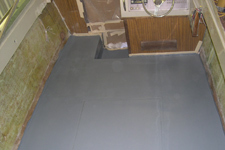 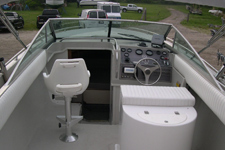 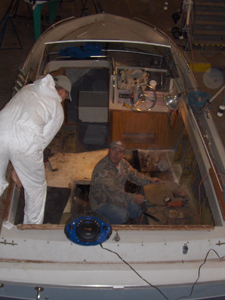 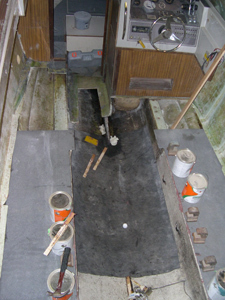 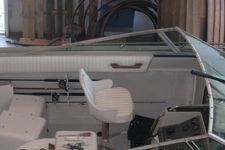 The scope of the job included Awl-Grip exterior, rebuilding the deck and its structure, painting the interior, building and upholstering bolsters, new cabin cushions, building a new engine box and aft seating, adding a bimini, rewiring the entire boat, and adding new seats forward including a helm seat with live well.